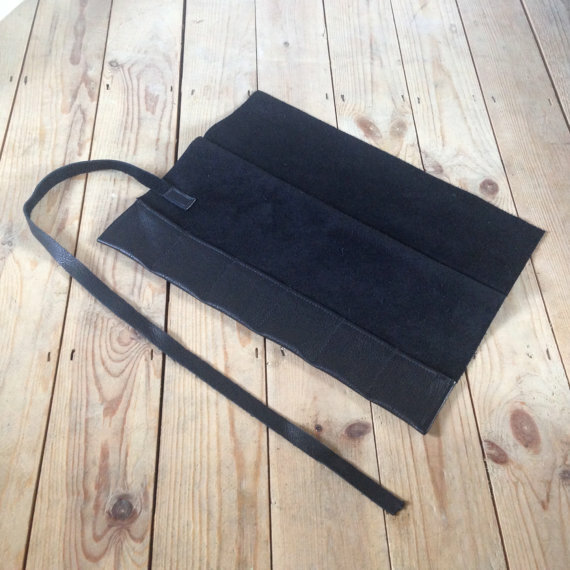 Published by Joshua Clare-Flagg on 13 Oct, 2014. I love having a good browse on Etsy. 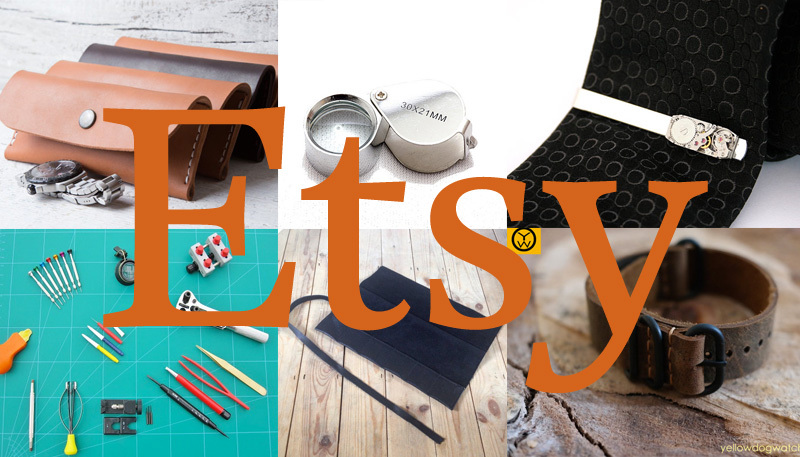 It’s a great site to allow small brands and individuals making a limited amount of hand-made stock to get their products out there. 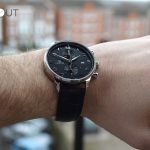 I thought I’d share a few watch based products I’ve found during my many hours of trawling through what it has to offer. Please note I am in no way associated with these brands, I just wanted to show some nice products made by small local businesses. 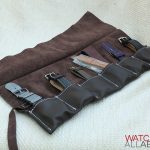 Here’s a beautiful equivalent to Worn and Wound’s leather watch roll – at half the price. It also holds 2 more watches in, and each is hand made by Ryan. Nice work Ryan. 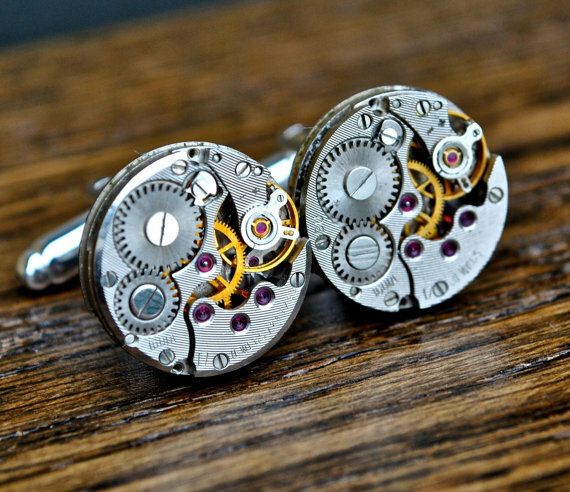 The classic watch movement cuff links – the perfect gift for any watch enthusiast. These are an excellent price of £11.99 and look excellent quality. 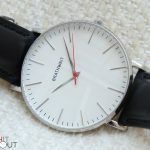 Those who start gathering a collection of watches know how important a decent set of watch tools are.Thankfully, TickinTime have got you covered. 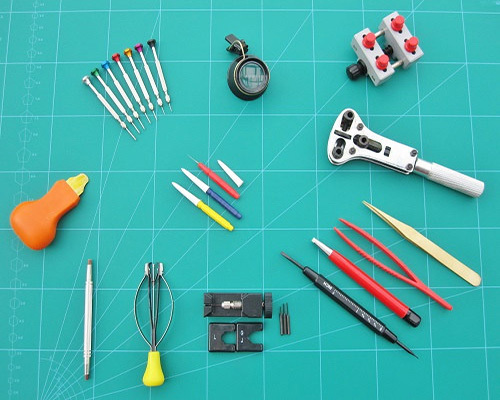 All their tools are of much greater quality than what you’d get from eBay. 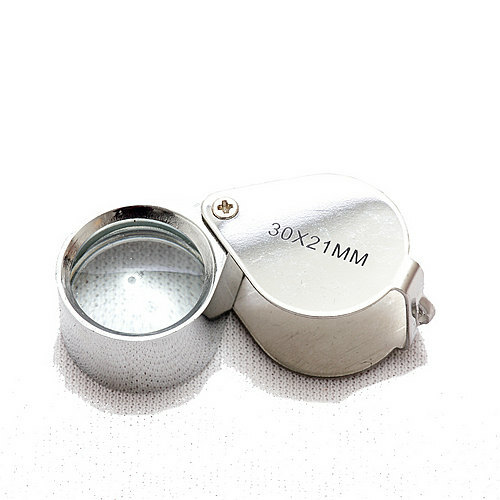 A loupe is one of those things all watch enthusiasts should have. At a price like £1.29, you don’t have an excuse not to. It’s a nice metal one too, not one of those rubbish plastic ones. 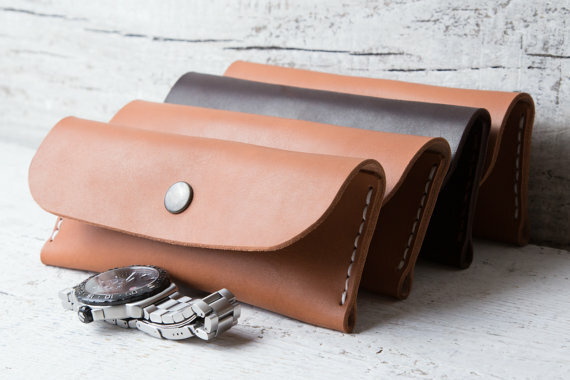 A single watch pouch is a must for anyone who travels. 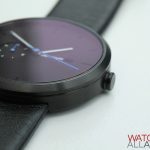 One that is hand-made in leather, and looks this good, is a steal for this price. 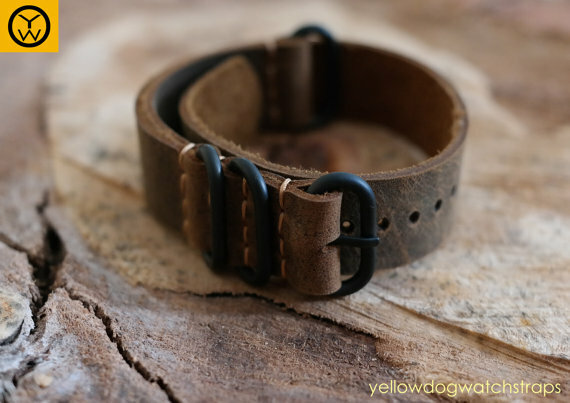 Yellow Dog Straps are made of excellent quality, I used one in my How to fit a leather strap tutorial. Just look at the picture below. 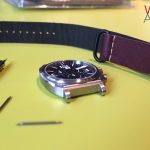 Alex also offers an excellent amount of customisation, including the perfect length for your wrist and any width you require. 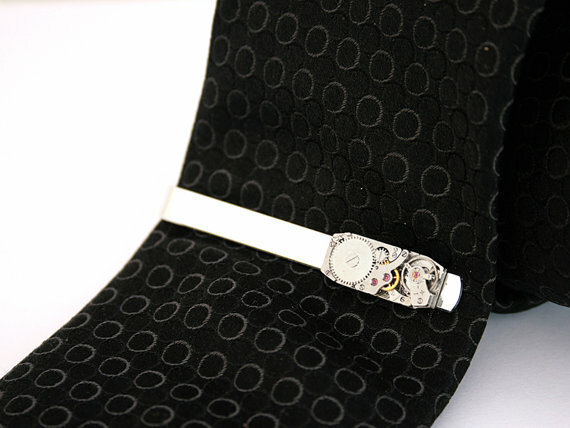 Just like the watch movement cuff links, a tie bar is an essential for any watch lover who wears a suit regularly. 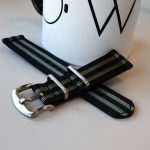 Hold that tie in place in style, whilst sharing your love for watches. A sure conversation starter.